Virtual reality (VR) technology is becoming even more accessible. Thanks to this, the use of virtual reality extends far beyond games and entertainment. It is an excellent marketing tool that can be successfully used in tourism. Today, it is not enough to describe the benefits of the destination, airlines or hotels to persuade customers to book them. Customers want live stories. Text, photos or even videos will not provide such an immersive experience of the environment, as virtual reality does. Let’s find out how VR helps you create a new experience in tourism and hospitality marketing. Travel planning needs much research. Google ThinkInsights says that 85% of people start planning their journey with the search on the Internet. At the same time, 88% of requests for travel on YouTube are related to destinations and general ideas. When searching for travel suggestions people do not have any settled point of view and are open to the most exciting travel proposals. According to Touchstone 2017 VR research, 74% of consumers rate travel as their preferred choice for virtual reality content. As Greenlight 2016 VR study claims, respondents feel connected to a brand that uses VR content. 53% of consumers are more likely to purchase from such a brand. 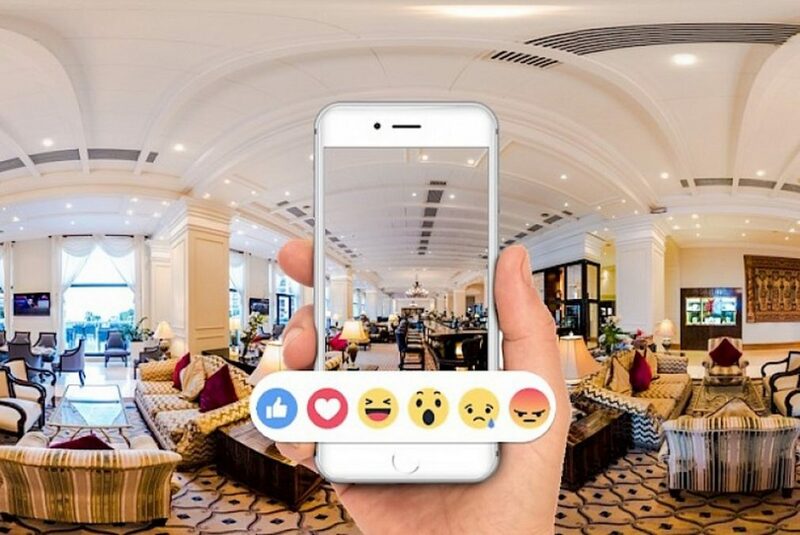 A study for Omni Hotels found that online travel shoppers who have experienced virtual tours were 67% more likely to book a room online. Magna and IPG Media Lab in their report on 360-degree advertisement concluded that 360-degree videos have a larger click-through rate (CTR) and are accompanied by more purchases than similar traditional flat videos. In addition, 88% of those surveyed who found such ads entertaining tend to interact with 360-degree ads in the future. How do travel businesses benefit from implementing VR? There is a huge potential in the use of virtual reality for tourism. Some possibilities are already realized, but a lot of them are left to unravel. Now let’s see what tour operators, hotels, and airlines use VR for. VR tours is the most obvious way of attracting tourists to your destination. You can captivate the audience by highlighting the most exciting places and activities in virtual reality. This can be very helpful for promoting not too popular destinations. India and Thailand have already used VR solutions to show their hidden gems and stir up traveler’s interest. On the other hand, virtual reality can be used to sell high-end offerings. Often consumers are not interested in premium services, as they have never experienced them. With virtual reality technology, people can feel the difference between standard and premium packages and upgrade their travel plans. 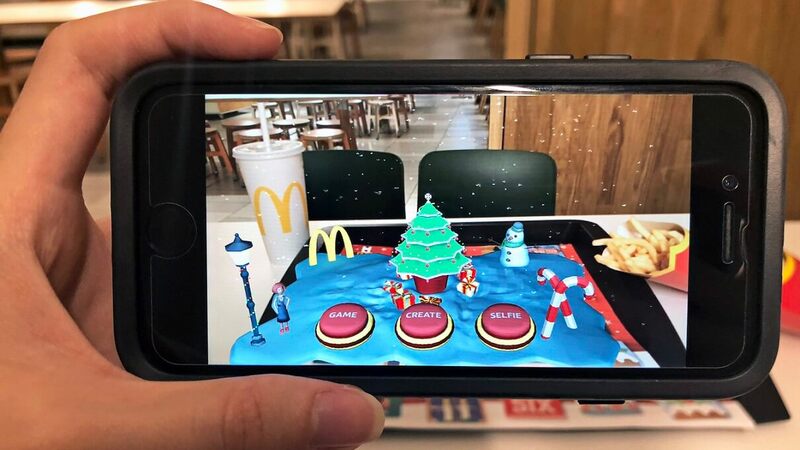 Branded virtual reality apps help you control the way users interact with your brand and create a consistent way to convert a user to a client. Travel agent Matoke Tours, specializing on the African safari, launched a virtual reality Android app for tracking gorillas. In this virtual reality tour, a user can visit the lodge and meet his friendly guide before the journey even starts. This travel story VR app not only brought huge interest to Matoke Tours but also helped them attract tourists to Uganda. Online travel agencies and aggregators dramatically changed the hospitality industry. The main competition between the hotels was around price, as users searched for the best deal. Now hotels have a tool to return users from aggregators to their sites. Interactive 3D tours of rooms, lobby, restrooms, or even the hotel’s kitchen can convince the traveler of their advantages and the price justification. 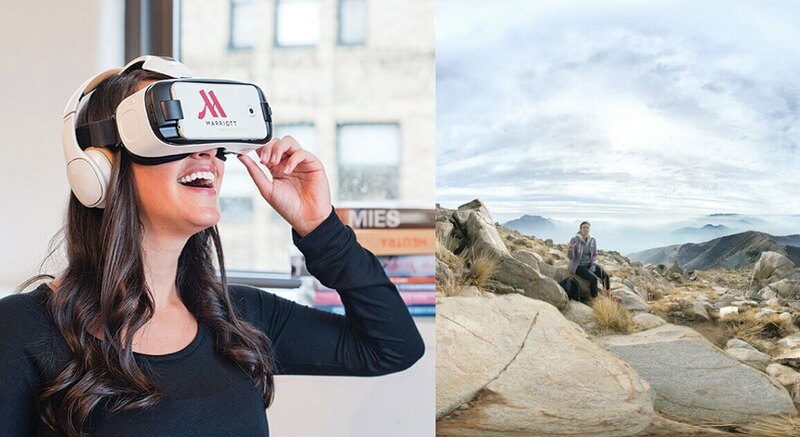 Best Western Hotels and Resorts let everyone visit their hotels through virtual reality before they actually book a room. It took 1.7 million photos to make a complete guide in Best Western Hotels Chain. However, this investment is worth the increase in loyal clients. Airlines, especially in the premium segment, need to introduce the most advanced technologies for in-flight entertainment. 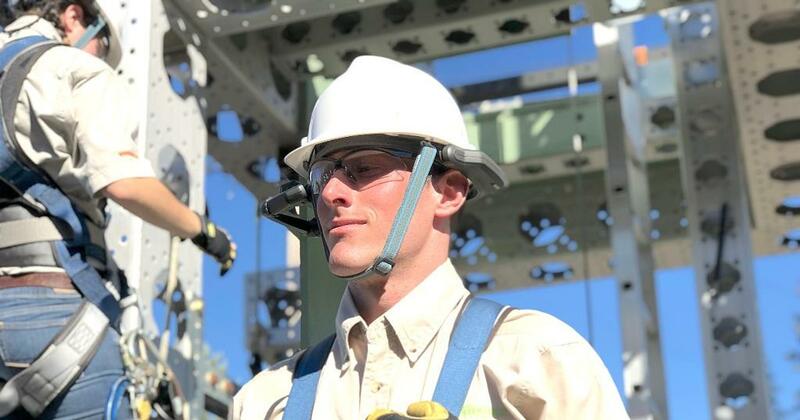 Virtual reality applications can immerse passengers in a completely different world so that travel could be as comfortable and discreet as possible. A video about the place the passengers are going to makes the most of the virtual in-flight entertainment. Some useful hints about good restaurants, attractions, and interesting non-tourist places will increase customer loyalty. Qantas Airlines represents an excellent example of a virtual reality in-flight app. They promote future destinations with captivating 360-degree movies, prompting the audience to visit all the places promoted. How do travelers benefit from VR? Virtual reality is a great demo version of what the user will receive by choosing a given travel option. It allows the traveler to make quick and easy decisions about buying a tour. With the help of virtual reality, almost any product can be tried on without leaving home. The effect of teleportation in the virtual world gives people a sense of confidence in their purchase decisions. Tourists need to know before they go to feel confident. Therefore, consumers will evaluate the information provided in the VR tour about registration procedures, transport, and infrastructure. Virtual reality is inclusive. 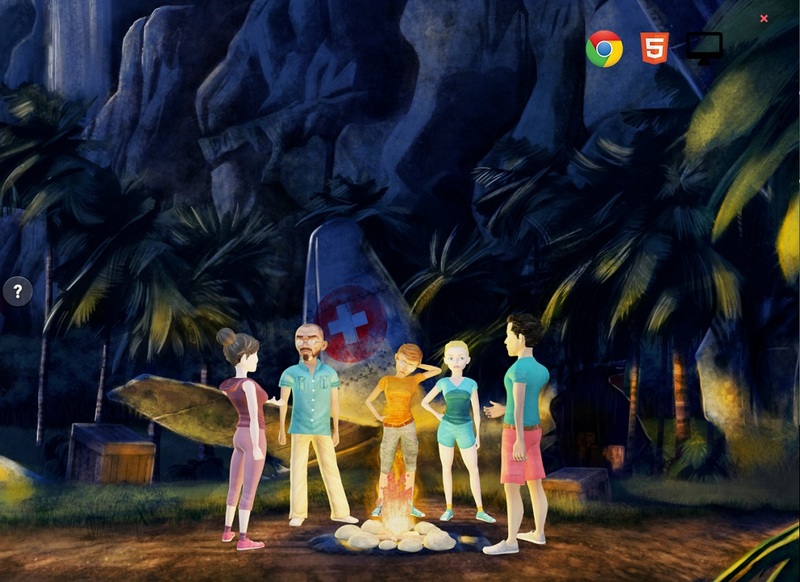 It allows people to visit places of their dreams regardless of any physical limitations. Budget, health restrictions, time limits can’t stop from going anywhere. The only thing is that virtual reality does not quench the desire to make a real trip, but only kindles it. One more great feature of virtual reality is the power to recreate any objects. Thus, the tourist can see in VR the historical area in its original form and trace how it has changed over the time. To enhance the immersive effect, the virtual reality app user can participate in a landmark event. There is a huge number of places, endangered or protected by law, where the access to the general public is prohibited. However, virtual tourists can bypass these restrictions. An additional bonus is that VR tourists can examine everything closely or even interact with the environment and touch the genuine artifacts. With the help of virtual reality, a tourist can see the hotel, evaluate the provided amenities and recreation. VR tour generates much more trust than traditional video. Also, the customer will immediately get acquainted with the layout of the premises, which will make them feel more comfortable on arrival. Some tour operators, for example, Amadeus, already work on VR booking apps development. This will allow a user to make a quick and reasonable choice. Virtual reality has proved its effectiveness as an excellent entertainment playground. 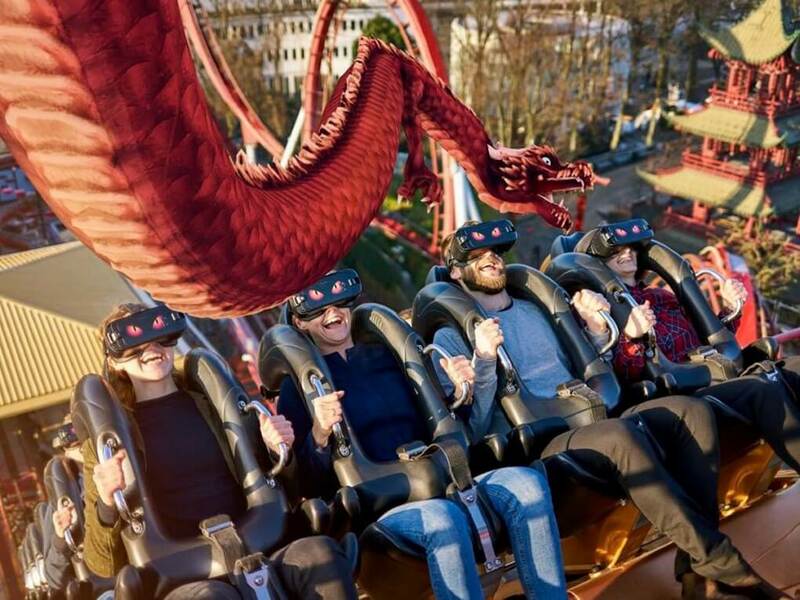 The use of virtual reality in amusement parks is already becoming a good tradition. There is a great potential of virtual reality in zoos and oceanariums where people can see animals in their natural habitat. Attending museums also becomes much more engaging with VR: the visitor can immerse in historical times or observe the creation of masterpieces. The tourist sphere hinges on the emotions that it broadcasts. An emotional response to certain natural conditions, ways of spending time and the vibes of the place can result in an irrational choice of destination. It is difficult to convey feelings that a person will experience attending the location. That’s where virtual reality can help. After all, it does not only create a picture in the user’s head but also allows interacting with the environment. At the same time, VR tour proves your expertise. It shows users the best landscapes, guides to the most unusual places, advises the best restaurants. This builds customer loyalty and convinces them to make a good deal. Thomas Cook is one of the most famous cases of using virtual reality in the travel industry. This agency was a pioneer in adopting VR technology. Thomas Cook collaborated with Samsung Gear VR in a campaign “Try Before Your Fly”, which led to a 190% increase in New York bookings. Lufthansa has created a whole FlyingLab in their airplanes. They are testing different virtual reality and mobile technologies to create wow effect and an extraordinary experience for their passengers. Lufthansa is also successfully using VR technologies on the ground – to sell their business class seats. VR Museum of Fine Art app is a perfect example of making art more entertaining and literally closer to people. This VR app on HTC Vive platform provides 360-degree tours, allowing people to come close to famous paintings and sculptures without restriction ropes, and enjoy current exhibitions. EVEREST VR is an exciting virtual reality application with a strong immersive effect. It gives users a chance to climb the highest mountain in the world in virtual reality without any training for just $15. The aim of this VR app is not to feel like you’re playing a game, but to experience conquering the top of the world. What should you think of before implementing VR in your travel business? Today, virtual reality in the travel industry can become an effective marketing tool to engage more people with your brand and convert them into loyal customers. But you need to use it reasonably. First of all, you need to decide what goals and functions a virtual reality application will perform. Conduct market research to choose an optimal solution. And then, together with virtual software developers design detailed project documentation. This will save a lot of time and money in the subsequent stages of VR development. Remember that the market is changing very quickly, and virtual reality app development is time-consuming. Therefore, you have to be proactive and use your customers’ insights. It will be enough to make a 360-degree video if you want to reproduce a real environment. The quality of the video depends on the hardware you use. You will need a spherical camera: GoPro Odyssey, Surround360 or any other professional camera and a tripod or a Steadicam. You can use drones for filming as well. The process of video-editing (post-production) is made only with professional software, for example, Videostitch. If you want to create any objects that do not exist in the real world, you should use 3D animation. There are 3D scanners such as Structure Sensor to transform an image of a real object to a three-dimensional model. Game engines (Unity, Unreal Engine, Google VR SDK, Blender) come in handy when you need more complex 3D animation. Usually, it is much easier and cheaper to outsource 3D animation to VR development company. Soon virtual reality will become mainstream, and it will not be as effective as it is now. Anyway, virtual reality is just a tool to highlight your benefits. Find your unique features: facilities, location, exotic nature, places of interest and let the user experience them in your virtual reality app. Virtual reality works well to show the difference between similar offers, for example, tropical beach resorts. If you make your communication with a customer more personal and human-oriented using a VR app, it can be a strong selling point by itself. Virtual reality apps for Android or iPhone cannot be cheap since their development and implementation requires specific equipment, software, and virtual reality expert skills. Still, 360-degree videos production is much cheaper than 3D animation, and it could be enough for your purposes. Most VR development companies offer two pricing models: fixed and time and material. When you are limited in time and money, it’s best to choose a fixed model given you have detailed project documentation and precise requirements. In time and material-based projects, you will be able to make changes and add features to your project during the whole VR development process. This model is the best fit if you have a complex and long-term project. Virtual reality is already changing the look of the travel and hospitality industry. VR is successfully used to promote travel agencies, hotels, resorts, and airlines. Even the whole states and countries are using VR to highlight their benefits and gain more tourists. Travelers also win a lot. With VR they really try before they buy and know before they go. Any place on the planet and any entertainment are now available to the virtual reality tourist. Virtual reality is powerful, but it’s not a magic pill. Before implementing VR solution make market research and count your budget. Think of your strong selling points and highlight them with the virtual reality app. If you take this into account, virtual reality will create a completely new travel experience for your customers.